What are tracks used for? 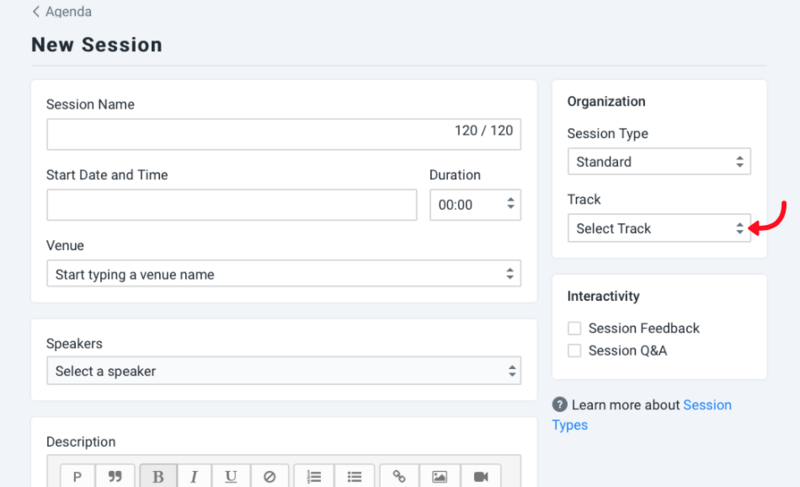 Add tracks to your agenda to divide sessions into categories. Multi-tracks are used to direct your attendees faster in the agenda and to identify sessions. Each track can have it’s own name and colour. You can describe your sessions in terms of type, categories or locations.